I hear on Twitter that it’s National Running Day. Today was a HIIT day for me, so I guess I sort of celebrated by running sprints up and down my street. This is something new I’m doing and I’ve noted a few alarmed looks from neighbours who leave for work early in the morning. I guess it’s somewhat disconcerting to see a woman running like she’s being chased by an ax murderer down a quiet street shortly after dawn. Who would have guessed?! Back to steady state with a 12K tomorrow and an 18K on Saturday. Now THOSE I’ll call the real celebrations. Tell me what you love about running and how you celebrated National Running Day?? You’re fabulous!!!! 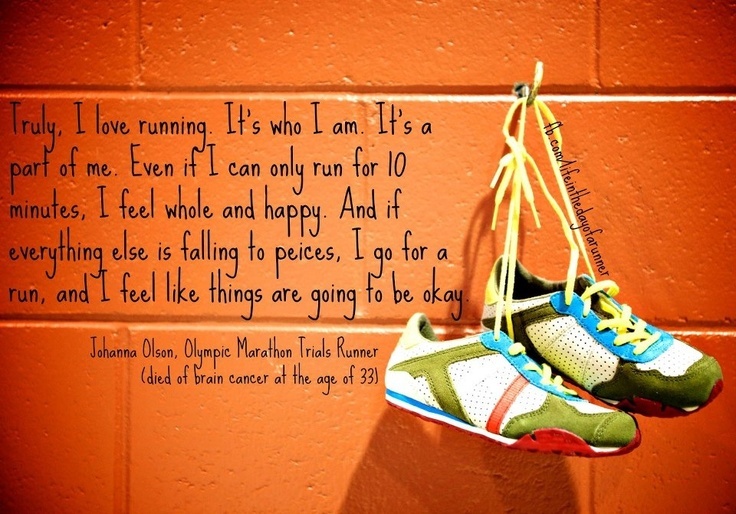 I hope your runs this week are perfect!!! XOXO!! Happy National Running Day!!! Love the quote!!! I don’t know what I’d do if I couldn’t run!